When it comes to comic books in the 1980's there are certain iconic images and issues that stand out. 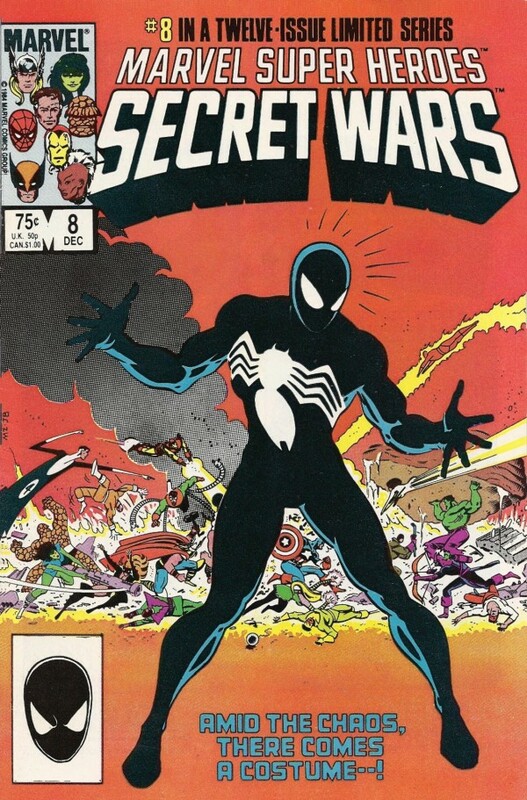 One of these is of course this very issue where we are first introduced to Spider-Man's iconic black costume.the suit would later be best known as the Venom symbiote but it all began here in Marvel's huge event series. To this day it's still one of, if not the most famous costume change in the history of comics and this is where it began.